Simple but important list of things to bring to your wedding. When I go to a wedding I find that people tend to forget the same small things over and over again. Many of these things are simple, and if you start putting them in your suitcase now, your wedding here in Cancun and/or the Riviera Maya will be that much better. And by better, I simply mean, less stress, more fun :). I love those hangers from Etsy with your name on them, but if that is not your thing, then please, bring a nice hanger from home. Anything is better than the 10 cent plastic one that comes with from the dry cleaner’s. And do not rely on the hotel. 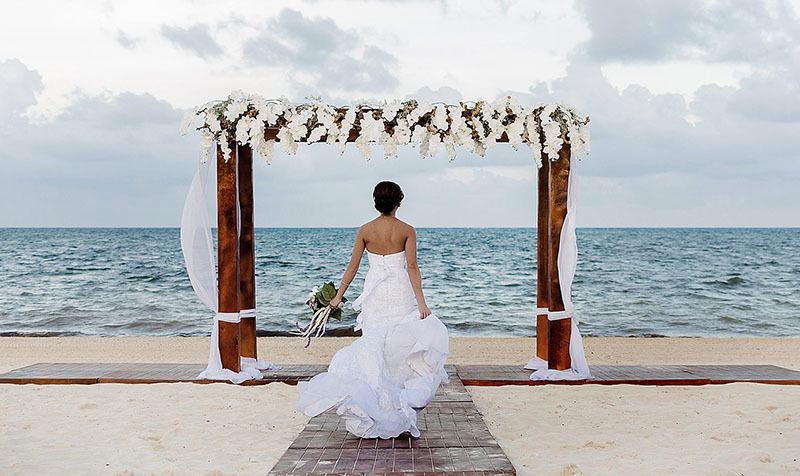 Most of the hotels in Cancun and the Riviera Maya have the kind you can only hang in their closet, and we will not be able to use them to hang your dress for that beautiful photograph of your dress. Yes, you need some. They can be a lifesaver in so many situations, that even if you do not need them, they are still a great idea. If the groom is wearing a tie, it’s really important that he, either brings a small safety pin or a tie clip or you might see his tie flying around in the wind all day. But if you use a safety pin from the back, the tie will stay in place most of the shoot and your will love your photographs that much more. I love this stuff and I can literally tell the difference between a bride who wears makeup fixer and a bride who does not. If you don’t fix the makeup on your face, the humidity, wind and salt air are going to make your makeup sweat off. is, please use this as an excuse to take another trip to Sephora and get some makeup fixer. Please bring them. From seeing bridesmaids ripping dresses trying to get tags off to trying to hide the tag from the veil in the bride’s hair, moments before she walks down the aisle -I’ve seen a lot of times a small pair of scissors would come in handy. Your hotel room will not have them. So please put a pair of small scissors in your checked luggage. Never walk out the room without the comb of the veil bobby pinned to your hair. 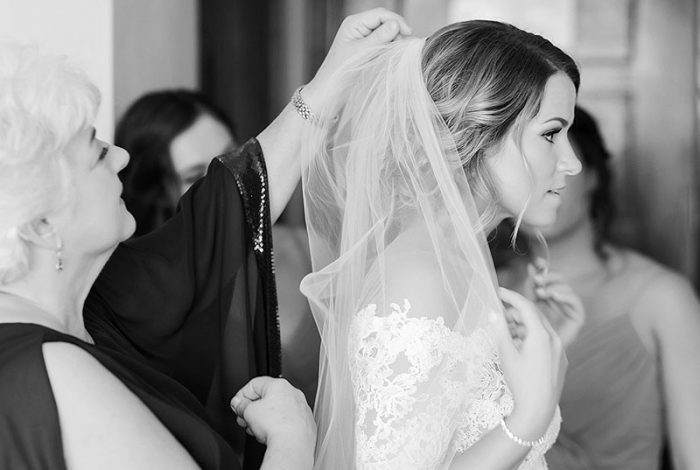 I don’t care what your hair stylist (whom has never been to a wedding ceremony)says, you need your veil pinned on. Of the brides that do not pin in their veil, at least 95% of them have their veil come out, either while walking down the aisle or during the ceremony. Assuming they even get that far. This naturally only applies to beach weddings where there will always be a breeze. I’m putting this on the list because I wish more people would bring them, to be honest. I love props, and especially things that are important, or mean something to you. It helps me customize your photography for you. I love them, and if you can fit them in your luggage, bring them along with any other props. And remember, it’s going to be windy, so the solid ones are a bit better than the ones on a string. In all likelihood, it is a lot hotter and more humid here than where you are from and I learned very quickly to always wear 100% cotton shirts. I find that they are at least 10 degrees cooler then blended. In fact, I wrote a whole article on it here How to Stay Cool(er) on your Wedding Day. I generally wear Brooks Brothers, and I especially love the iron-free versions, which are not really iron-free, but they are super easy to iron. They are fitted, they look good, they breathe, and don’t come untucked on me. And even when they do, they are iron free, so they still look good. If you or your girls are doing their own hair, remind them to get high humidity hairspray and bring LOTS of it. Expect your hair to do some crazy things in the humidity here in Cancun and the Riviera Maya. So please do some research and bring the correct hairspray and lots of it. 10) Talk to your bridesmaids about the wind. There is a 90% chance it will be windy on your wedding day. So please talk to your bridesmaids about this and make sure they choose a hairstyle where their hair is up or under control. This is such a big thing for us that we talk to every bride at least three times about the importance of having their hair under control. And if you want more information on this, I have an article on How to wear your hair for a beach wedding. If you want great photographs, it’s really important you consider the wind. 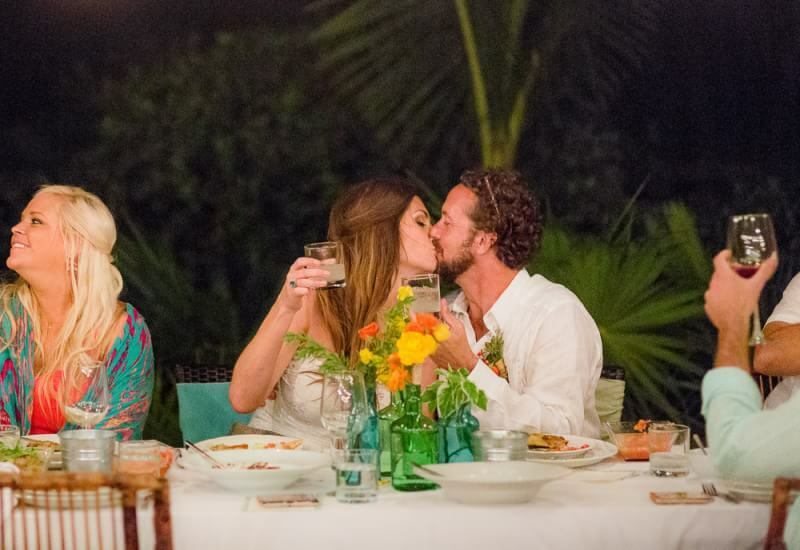 I hope you have found this article helpful and at least one of these things will make your wedding go that little bit smoother. 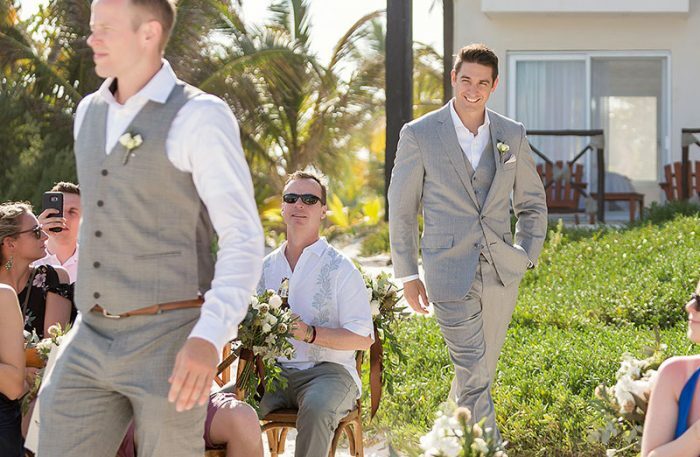 Weddings in Cancun and the Riviera Maya are fun relaxed events where everyone has a great time celebrating your love. As photographers, we love helping couples with advice so that the little things don’t become big things. 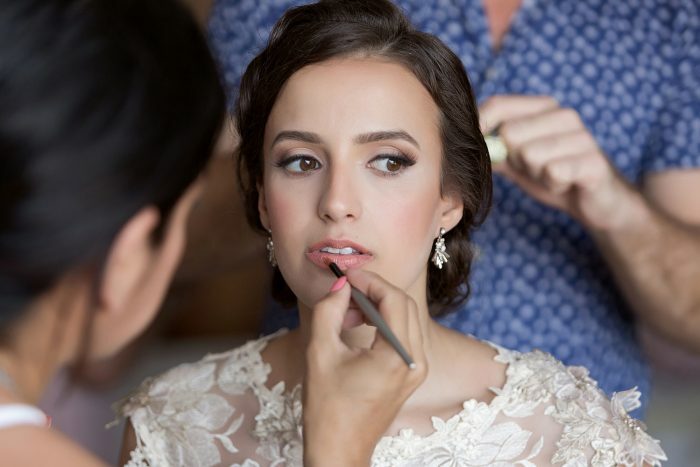 We want you to be prepared so that when something small happens the problem is solved quickly and go back to having a great time celebrating your wedding. When this happens, we know that not only will you have a great day, you will also get wonderful photographs that you will love for a very long time. Speaking of which, if you do not have a photographer for your wedding, we would love to hear from you. You can either go to our contact page or fill out the form on the pricing page and we would love to start talking to you about your wedding!